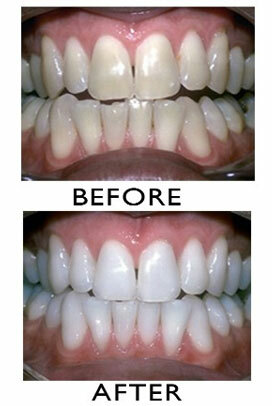 Would You Like Whiter Teeth And A Brighter Smile? Chances are you are viewing this page because you’re interested in having your teeth cosmetically lightened. You’re not alone. In fact, it seems only natural that most dental patients today are interested in having the whitest, brightest smiles possible. At one time, crowns (caps) were the only alternative to restoring badly discolored or decayed teeth. More recently, porcelain veneers and composite bonding have become available as an attractive alternative. Now there’s another alternative available to make natural teeth look their brightest. This process reverses the discoloration of tooth enamel to create a whiter, more esthetic appearance. The advantages of this procedure are that no natural tooth structure is lost, and no anesthetic is required. consumption of staining substances, such as coffee, tea or tobacco products. 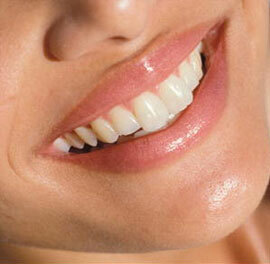 Another consideration in determining whether tooth whitening is for you is the strength and condition of your teeth. Careful clinical examinations and X-rays will help determine whether you are a candidate for this procedure. 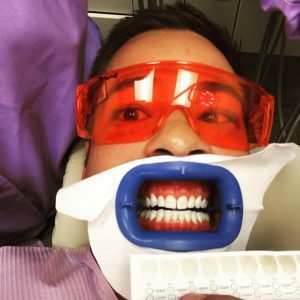 What Tooth Whitening Options Are Avaiable? 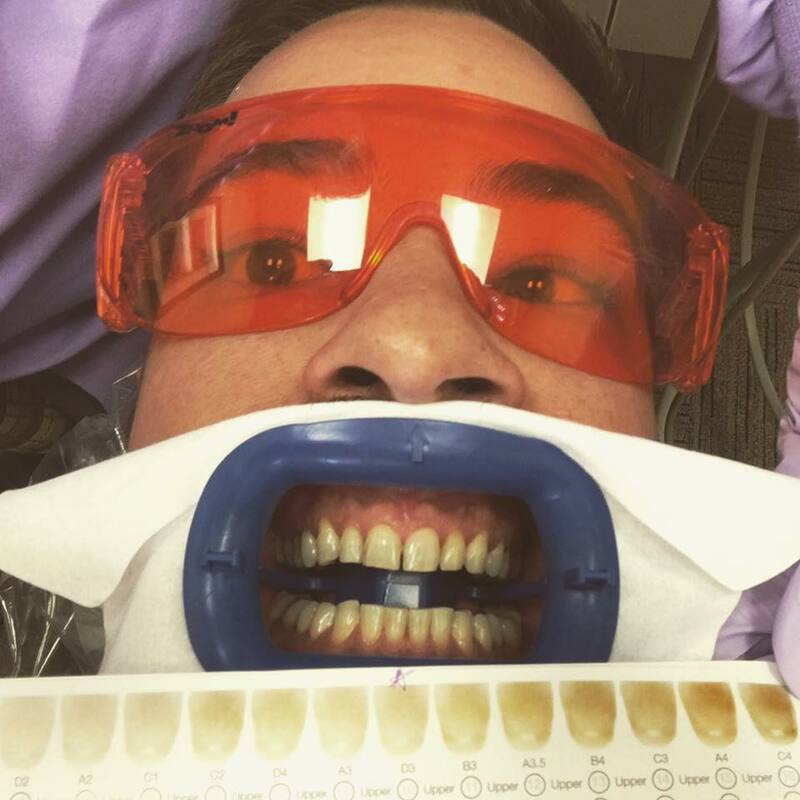 The two major types of tooth whitening systems are in-office (active), Zoom Whitening, or passive (conducted by the patient with whitening trays at home while closely supervised by the dentist.) Sometimes your dentist may recommend either system or a combination of both, to give you the best results in the least amount of time. Regardless of which type of system you choose, it’s important that you follow the recommendations of your dentist. Self-treatments (as advertised on television) can be dangerous! The Zoom Whitening procedure should take between an hour to ninety minutes to complete. Our technician will take precaution to make sure your gums and soft tissues are carefully protected with gauze and a liquid dental dam. A whitening solution is applied to the front surfaces of your teeth, and then your teeth are exposed to a special light (at a fairly close range) for fifteen minutes to accelerate the bleaching process. After fifteen minutes, the excess solution is wiped off, more solution is added, and the process is repeated up to three more times. A number of steps are involved to endure the most esthetically pleasing results. There are many benefits of teeth whitening. <—— Check out our patient, Michael, and his incredible results!